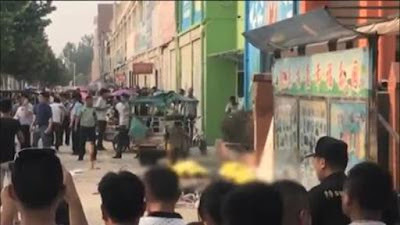 An explosion outside a kindergarten in the eastern Chinese province of Jiangsu has killed at least seven people and injured more than 50. 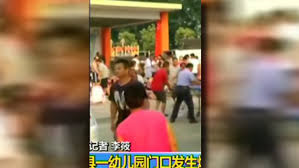 CCTV, the state broadcaster, reported that two people had died at the scene and that five had died at the hospital. It was not immediately clear what had caused the blast. 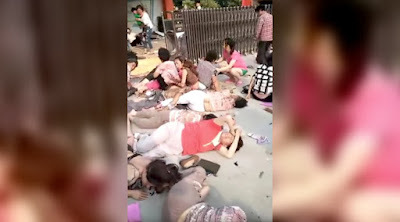 Videos and photographs circulating on Chinese social media showed a chaotic scene outside the Chuangxin kindergarten on the outskirts of Xuzhou, a large city in the province. One video showed what appeared to be doctors trying to revive a toddler, who was covered in blood. Another showed adults and children lying on the street, apparently unconscious. State news reports said the explosion occurred shortly before 5 p.m. Local news reports described it as a possible gas tank explosion. 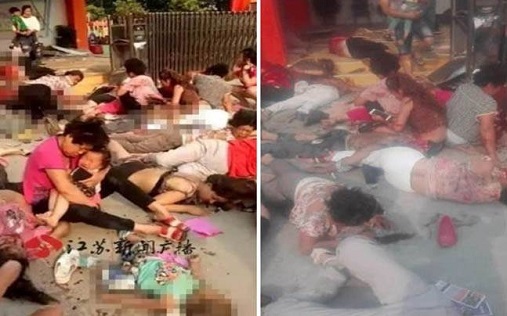 The China News Service, a government news agency, said it was possible that none of the dead or injured were from the kindergarten.